VALE Insurance Partners, a program administrator focused on specialized insurance programs, today announced that it has acquired 100 percent of the assets of Onyx Transportation Services, LLC (OTS), the Program Administrator for Onyx Insurance Company, Inc., a Risk Retention Group specializing in the transportation industry. The Program Administrator will now operate as VALE Transportation. Since its founding three years ago, Onyx has broadened its scope from public livery to also include coverage for limousine, short distance shuttles and non-emergency medical transportation vehicles. "Onyx has shown consistent, quarter-by-quarter growth in Policyholders Surplus, which speaks to OTS's underwriting discipline in a challenging market, as well as its exceptional use of safety technology," said Jamie Sahara, CEO of VALE. "We are very excited to continue to serve Onyx's policyholders and brokers with the same client-focused philosophy." Based in San Francisco, VALE Transportation uses established strategies and programs to reduce the insurance cost for specialized transportation risks, including taxis, limousines, para-transit vehicles, non-emergency medical transportation vehicles and jitneys. VALE Transportation requires insured vehicles to have windshield cameras, a security measure to reduce the number of accidents by improving safe driving habits and driving patterns. 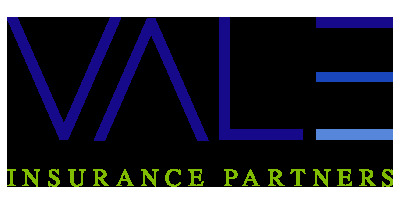 Based in New York, NY, VALE Insurance Partners (www.valeinsurancepartners.com)is a program administrator focused on specialized insurance programs, including Representations and Warranties insurance.